This warm modern and spacious farm cottage enjoys an ideallic rural setting surrounded by native bush and planting’s attracting native bird life. The bedroom windows look back across the fields toward the sometimes snow capped mountains. This peaceful rural location offers a perfect base for exploring the wonderful Kaikoura Region. It is just a few minutes from Kaikoura township and the coast. The grassed area at the front of the house is a lovely spot to enjoy an evening cocktail and the scenery or for the kids to play. The view can be shared with some sheep and a very friendly goat who helps keep the lawns mowed! A private yard has plenty of space for boat parking. Tastefully appointed cottage with all you should need for a home away from home experience. Please, no one night booking requests. 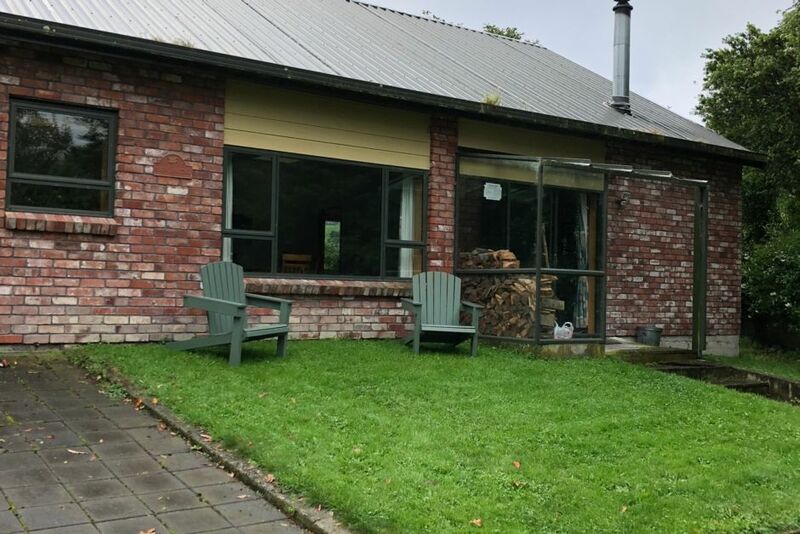 Extras: Cleaning (Optional, NZ$95.00 per stay); NOTE: Under Kiwi bach tradition you are expected to: Bring your own linen (towels/sheets/tea towels); We are not able to offer a linen service at this house. Nice country setting. Close to township. Had everything we needed. Friendly goat. Would definitely stay here again but due to our circumstances were unable to make full use of what was available as we were only in town for a very short length of time. We loved the house and its surroundings. A nest among beautiful trees close to Kaikoura. We were there for 2 days only, going in and out but the place deserves that you stay longer to enjoy it.